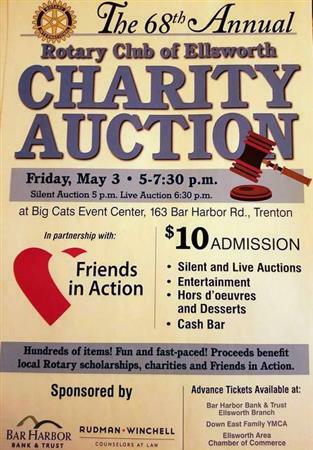 The Rotary Club of Ellsworth is excited to be hosting its 68th Annual Charity Auction on Friday, May 3rd at Big Cat’s. Every year we distribute up to $20,000 to local nonprofits and scholarships for deserving high school seniors. The auction is the largest fundraiser for the club as a result of outstanding community support. Friends in Action has been chosen to be Rotary’s 2019 auction partner. Friends in Action's leaders, employees and volunteers will assist with organizing the event and will share the proceeds with the Rotary Club. Please consider a contribution of goods or services to this year’s Rotary Auction. Would your business package a special service or item that would showcase your work and bring excitement to this event? 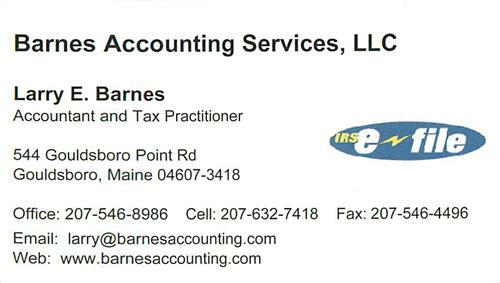 Or, consider becoming a sponsor which will directly support our community, while providing great publicity for your business at the same time. The 2019 auction will be held on Friday, May 3rd, from 5:00 to 7:30 pm at Big Cat’s Event Center in Trenton. It will be a fun-filled evening with lots of wonderful live and silent auction items, plus hors d’oeuvres and a cash bar.